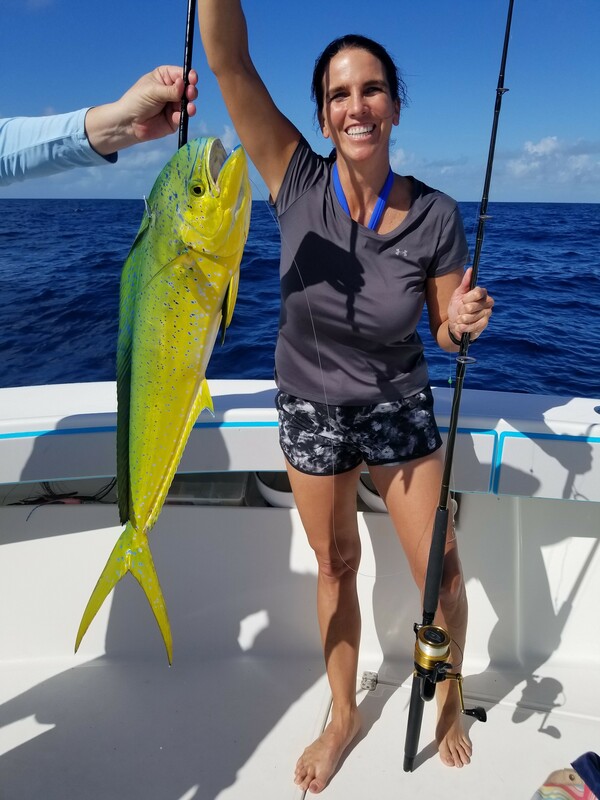 The fishing off key largo in November has been very productive for just about every species that swim offshore. 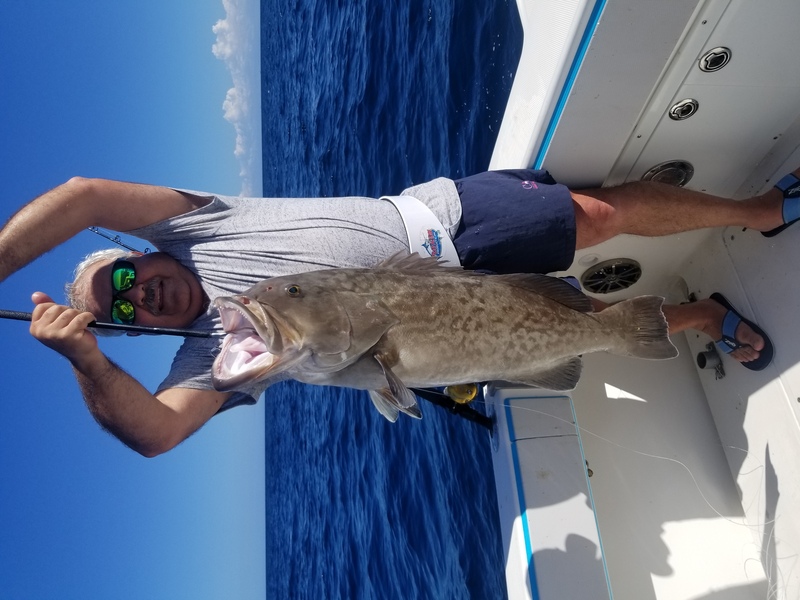 Our fishing conditions off key largo has been changing almost daily giving us chances at different types of fishing every other day. This is due to the early cold fronts that we are getting. 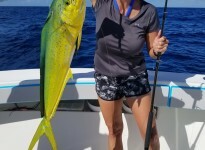 One day there will be an east wind off key largo making offshore fishing for mahi and tuna productive while the next day the wind shifts out of the south making the yellowtail snapper, grouper, and amberjack bite. The day after that we may see a north to northeast wind giving us opportunities at sailfish, kingfish and wahoo. 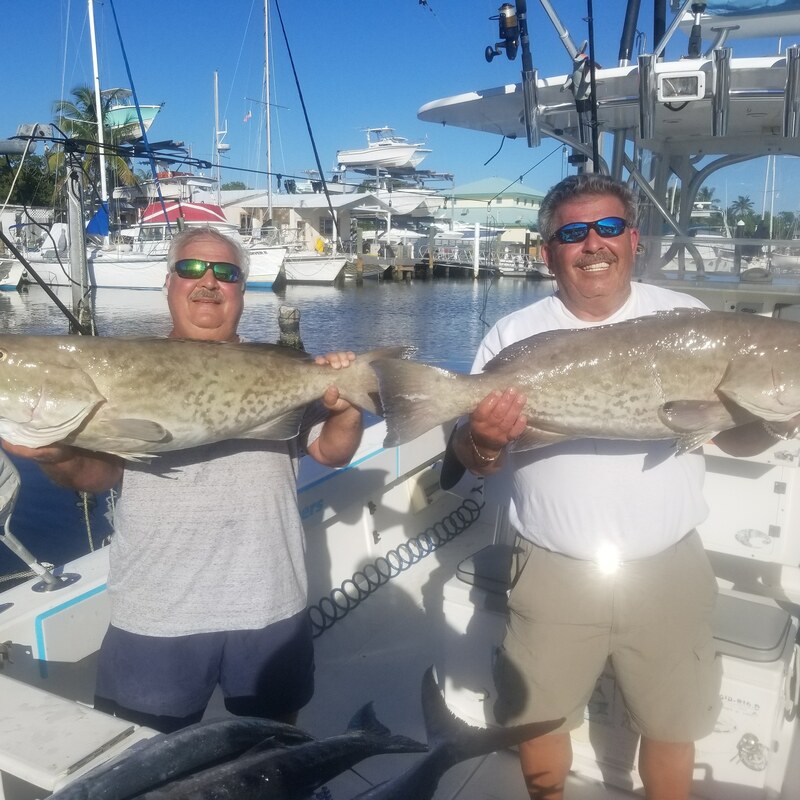 Generally this time of year offshore key largo we like to kitefish with live goggle eyes and pilchards for sailfish, tuna, mahi, and wahoo. Drifting with a sea anchor lets us fish 6 kite baits with a bottom rod out as well for snapper or grouper. This technique is the most stable way to fish with some sea. You dont bounce around from trolling the boat stays into the wind and drifts with the current. 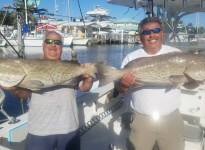 On windy days this time of year off key largo the reef fishing can be excellent with mutton snapper and mangrove snapper. We use live shrimp while anchored on the patch. It is also common to catch cero mackeral which is a fun fight on light tackle. These next few months should give you a variety of fish to target off key largo if you fish for what the conditions offer.